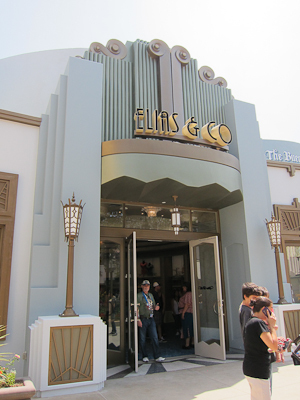 Quick quiz–who was Elias Disney? That’s right! Walter Disney’s father. Walter Elias Disney, to be precise. Don’t you love that? Walter Elias Disney. What a great name. He should have named his original imagineering company after that. Like WED. Oh wait, he did. 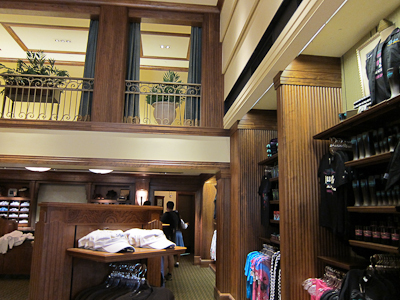 Over on Buena Vista Street there’s a series of interconnected shops, similar to Main Street in Disneyland. 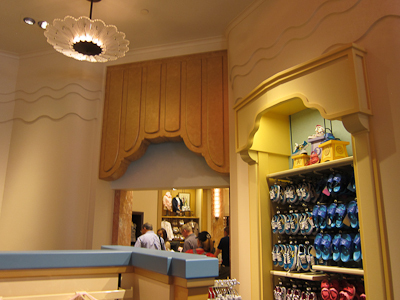 I say similar because the shops in Disneyland aren’t entirely connected (there’s a jump at the Carnation Cafe one one side and the fruit cart is on the other). The interconnected stores make this a great way to escape the parade crowd lining the street if you just want to get out (or in). 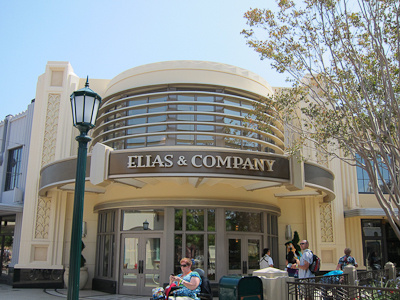 On the East side of Buena Vista Street is the series of stores that culminate in Elias and Co. 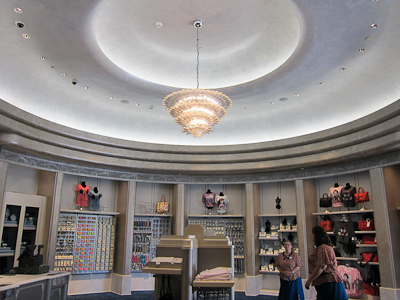 The stores start with Los Feliz Five and Dime, which I covered here. Next you move into Big Top Toys. You know, the OC Register has a great article about the meanings of the stores on BVS and various trivia around them, and I’d really like to share that information but I feel like that’s cheating and quite possible illegal? Anyway, here’s the Register article here, and it’s really interesting. Inside Big Top Toys is where you can find the Disney pillow pets. Those bad boys must be popular because I get a LOT of search engine hits on Disney pillow pets. Kid’s clothes! Lots of cute stuff in here. 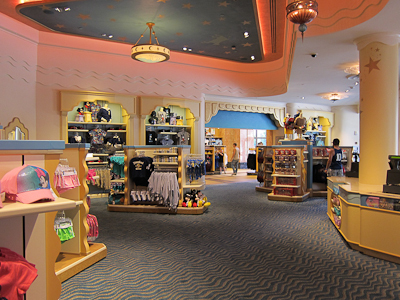 But it’s really too bad they carry so much Disney stuff at other stores. 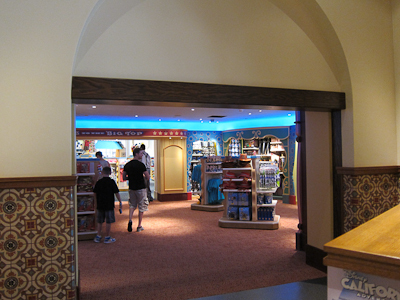 There seems to be very few Disney Parks-exclusive items, in the sense that it looks like you can only get them here. That’s a bummer. 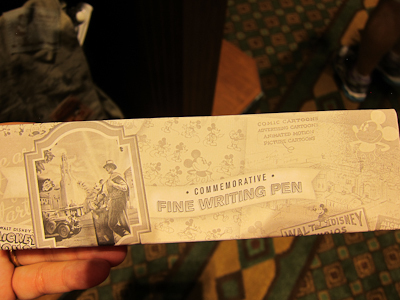 I love park-specific merchandise. And then this fabulous light fixture. I love it. I know, that picture looks familiar. What can I say, I recycle my own photographs. A tree lives and flourishes in the woods every time I use a picture again. What’s the deal with flip flops? I mean I know it’s California and all, but practically everyone’s running around in flip flops. I think I’m just jealous because I have these horrid fallen arches and I have to wear old-lady orthotics in my sensible shoes. Also when I was a kid, we called flip flops “thongs,” which has an entirely different meaning now. It’s big. It’s round. It’s imposing. 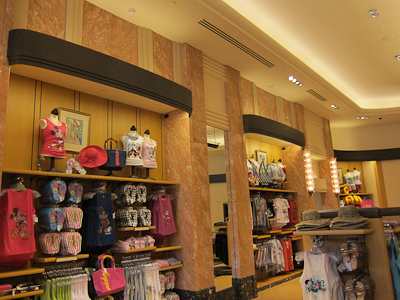 This whole mall really gives you the feel of classic department stores back in the 20s. I think. Not having gone to department stores in the 20s. Like I expect to see my podiatrist in one of the offices on that second floor there. He’s shaking his head telling me not to wear flip flops. That’s another view of what looks like should be some kind of offices in the second floor. Dentists? Lawyers? Flip flop repairmen? Oh sorry, that was sexist. Flip flop repairpersons? I’m not sure why I took that picture, actually. Moving on. I collect pens. I want this pen. It’s really not that expensive. Christmas is coming. I do like this one because it just SCREAMS jewelry. The light and color–very platinum. 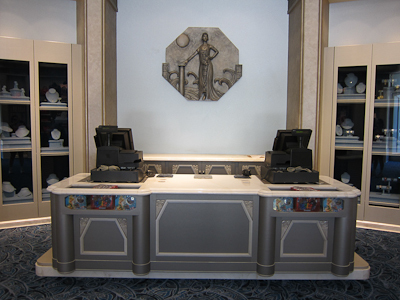 Once upon a time, Disneyland used to sell very expensive jewelry. Now it’s all kind of cheap. Like so cheap they don’t even need to put it under glass. What happened to the good stuff? You know what would be a very authentic department store experience? If they had to open up all of those jewelry cabinets. Talk about a great use of time. THAT’S what I’m talking about!! 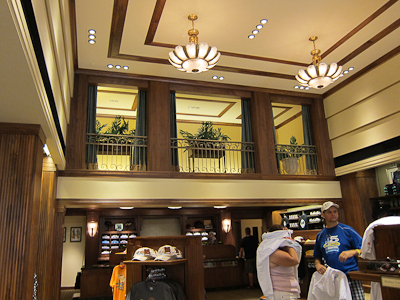 The architecture on Buena Vista Street is just exquisite. It really is. 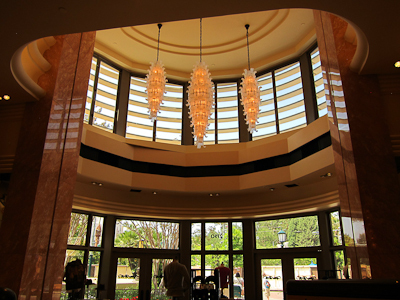 Buena Vista Street is so full of class and elegance.